We would like to invite you to participate in the 3rd National Conference on Obstructive Sleep Apnea and Snoring on October 4 – 6, 2018, in Sts Constantin and Helena Resort, Varna, Bulgaria. The scientific program includes sessions of topics such as neurobiology, physiology, chronobiology, phylogenetic and evolutionary studies, contemporary diagnostic methods, induced sleep endoscopy, coblation, radiofrequency surgery, septoplastic, uropopalatoplastic, laser surgery, robotic surgery, neurostimulation, behaviour, learning, memory and cognition, sleep disorders – breathing, modern surgical techniques to treat OSA, sleep disorders – cardiac rhythms, sleep disorders – insomnia, sleep disturbances – parnomia, sleep disorders , sleep disturbances – hypersomnia. neurological disorders and sleep, psychiatric and behavioral disorders and sleep, normal sleep physiology and normal options, pediatrics, sleep and SPA, sleep and stress, sleep and gender, sleep and health care. 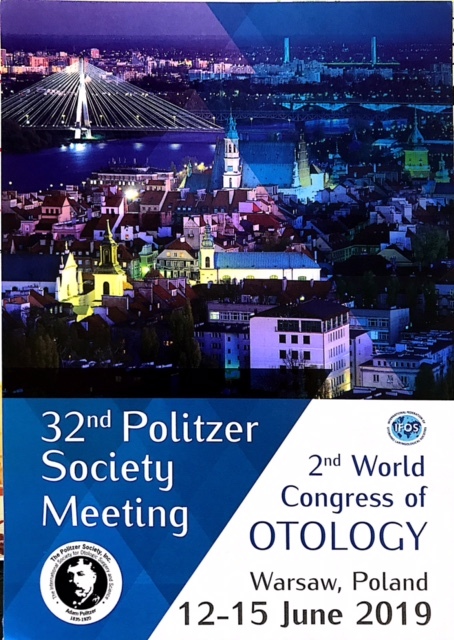 More than 120 otorhinolaryngologists, pulmologists, neurologists, dentists, physiologists and health managers from Bulgaria, as well as distinguished scientists from all over the world will contribute to the successful conducting of the Conference: Prof. Oliviero Bruni, Prof. Michele Cassano – Italy, Prof. Magne Tvinnereim – Norway, Prof. Karl Hörmann – Germany, Prof. Hesham Negm – Egypt, Prof. Mustafa Adali – Turkey, Prof. Hussain Arland – UAE, Prof. Evert Hamans – Belgium, Prof. Adriana Neagos – Romania, Prof. Milan Stankovic – Serbia, Prof. Georgios Anastasoupolos – Greece prof. Mahdi Ahmadi – Iran, Dr. Song Tap – Singapore, Dr. Vikram Pandit – Taiwan, Dr. Fahri Ildiz – Germany. The members of the Organizing Committee are: Prof. Karl Hörmann – President of Honor, Prof. R. Benchev – President, Prof. P. Nedev – Chairman, Prof. А. Kaprelyan – Deputy Chairman, Assoc. Prof. M. Milkov – Chairman of Bulgarian Society on obstructive sleep apnea and snoring, Dr. P. Petrov – Deputy Chairman, Prof. D. Vicheva – Deputy Chairman, Prof. Т. Kostadinova – Deputy Rector of the Medical University of Varna “Prof. Dr. Paraskev Stoyanov”, Prof. Н. Grupcheva – Deputy Rector of the Medical University of Varna “Prof. Dr. Paraskev Stoyanov”, Dr. R. Tiholov, Dr. А. Rainov – Secretaries, Dr. L. Matev – Deputy Secretary. All colleagues willing to participate should register until 15.06.2018 – early registration, until 20.09.2018 – regular registration. The registration form is available on the website of the organizer of the event “Tourexpo-Varna” Plc. 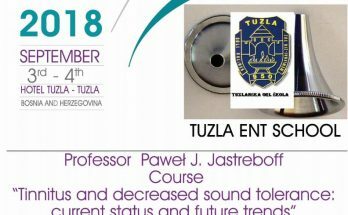 The course will be held on 4 October 2018 at the Department of Otorhinolaryngology and Neurosurgery at “St. Marina” University Hospital – Varna. 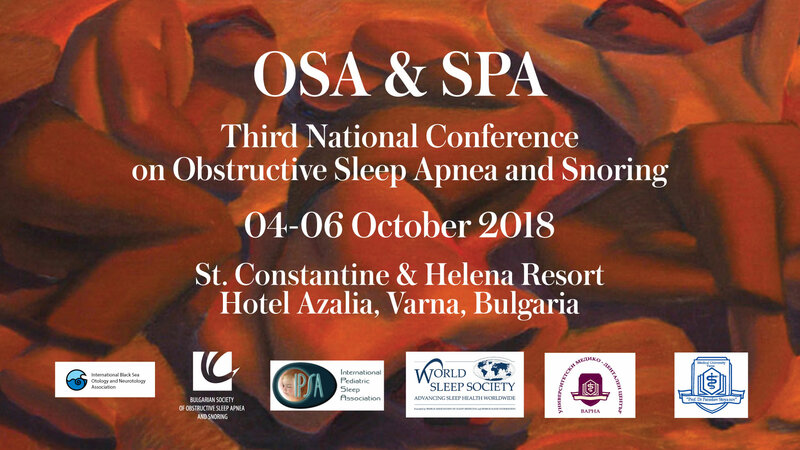 We will be glad to welcome you during the 3rd National Conference on Obstructive Sleep Apnea and Snoringin the sunny city of Varna.